"All the functionality you need without the difficult integration or high software costs"
Built on a state-of-the-art technology platform used by over 1,000 organizations. IMDDA Telescope streamlines due diligence through a single point of entry and data collection portal. 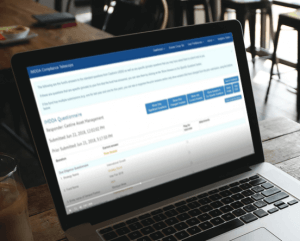 IMDDA members enjoy the benefit of timely, accurate and frequently updated due diligence questionnaires, documents, meeting notes, manager scoring, year over year comparisons, and automatic government data collection all through a single secure cloud-based portal. IMDDA Telescope’s Risk Scoring Algorithm module empowers you to set risk scoring levels and alerts to proactively identify why and where a fund may be a higher risk. Allowing you to efficiently and accurately target potential risk. Adverse news? You need to know instantly which of your investments are affected. IMDDA Telescope can provide the information you need with a simple search, giving you instant access and the ability to quickly determine a course of action, saving you time and drastically reducing your financial and reputational risk. "This is a cost-effective assistant, organization tool and overall time saver." Customized risk scoring automatically updates a firm’s risk profile whenever a new submission occurs. Customize due diligence questions to include your own confidential questions or requirements, such as attestations. Historical data saved in perpetuity and easily available for review at any time. Instant year over year response comparison. Handles all logistics to contact each firm, collect responses, and request regular updates. Automatic workflow information alerts notify and remind team members to review their assigned data and tracks all steps of the due diligence process. Instantly notifies users whenever responders change answers to key questions (or any question) within their due diligence questionnaire. Interview management, with the ability to flag answers for follow-up. Automatic collection of public filings including Form ADV. Report creation with the press of a button. Centralized to provide access to all documents, assessments, issues, and communications. LEARN MORE ABOUT IMDDA TELESCOPE for Investors!